MainAll NewsMiddle EastSaudi King Holding Daughters Against Their Will? 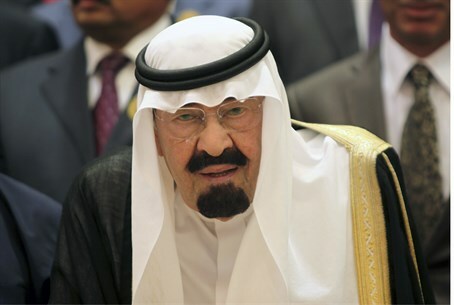 Saudi King Holding Daughters Against Their Will? UN receives complaints about Saudi princesses being held against their will, but it could be a while before anything is done. The United Nations has received pleas to help free several Saudi Arabian princesses allegedly being held against their will in a royal compound, officials confirmed to The Associated Press (AP) on Wednesday. Allegations submitted to the UN human rights office claim that several daughters of King Abdullah of Saudi Arabia have been held for the past 13 years in the royal compound in Jeddah. The UN's Office of the High Commissioner for Human Rights confirmed receipt of the emailed complaints but said it could be several months at least before anything is officially published about the case. The office did not say whether it considered the complaints substantial enough to warrant a follow-up investigation. According to AP, the case stems from an email sent to the United Nations and The Sunday Times of London, which published a story saying two daughters of King Abdullah of Saudi Arabia — Princesses Sahar, 42, and Jawaher, 38 — had appealed for help claiming they and their sisters have been held for 13 years in the royal compound. The newspaper said that their mother, Alanoud Alfayez, who lives in London and is divorced from the king, also contacted the United Nations seeking help with the case. Saudi Arabia is notorious for its violations of human rights and specifically those of women. The country employs religious police whose job is to enforce Islamic Sharia law, and women are forbidden from driving in the kingdom. A long-standing campaign aimed at getting the Saudi Arabian driving ban lifted has urged women to defy the ban. In past situations where women were caught driving, their male relatives were asked to sign statements saying they would not allow the women to drive again. In what can be viewed as an historical move given its record of abuse of women’s rights, a woman was recently named editor-in-chief of a daily newspaper published in the kingdom, the first time in Saudi Arabia. Despite its violation of human rights, Saudi Arabia recently won a seat on the UN Human Rights Council, being one of several countries with questionable human rights records to win seats in this body.